Jockey Jon Court rode C Islandsurprise to a nose victory in Sunday’s first race to secure his 500th career win at Churchill Downs. 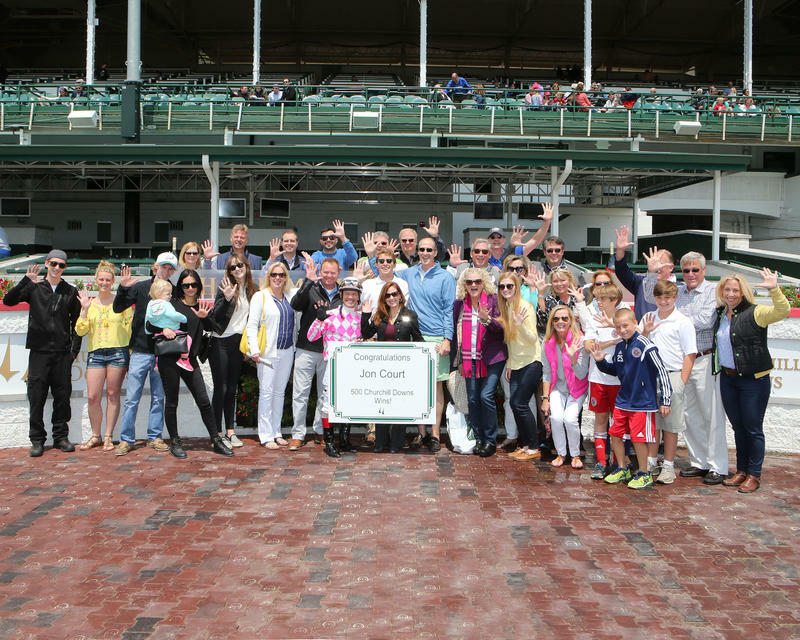 Court, 55, is the 13th rider to reach the 500-win plateau at Churchill Downs. Pat Day is the track’s all-time leader with 2,482 victories beneath the Twin Spires and is followed by Calvin Borel (1,189), Robby Albarado (1,063), Don Brumfield (925), Larry Melancon (914), Jim McKnight (883), Charlie Woods Jr. (757), Shane Sellers (738), Corey Lanerie (724), Julien Leparoux (722), Julio Espinoza (642), Shaun Bridgmohan (624) and Court (500). The victory was Court’s fourth over first 10 days of Churchill Downs’ Spring Meet. “We got off to a good start on Derby Week and it’s always exciting to win at Churchill Downs,” said Court, who first rode at the Louisville racetrack in the fall of 1982.